1. For permanent hair reduction in laser hair removal treatment you may want 3-6 sessions, it depends on your hair area and hair quality.I have a separate article which describe " How many sittings in require for laser hair removal"
2. Many people go away from laser treatment after 1-2 sessions because they got laser hair removal side effects like skin redness and skin rush pimples etc. 3. After stopped laser hair removal treatment in mid they think this means progress will be lost and the hair will go back, That's Wrong..
4. You won't 'lose' anything. Because each sessions destroy some of your hair follicles and after destroy those hair follicles they are dead and won't grow back. 5. So you just want to reschedule some of your laser hair removal appointments and take care when they rescheduled for you. 6. 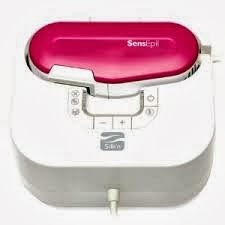 You may also buy a laser hair removal system for home use and do your remaining sessions at home. 7. 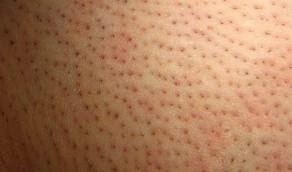 Share your experience in comments when you stopped your laser hair removal in mid treatment and after some time rescheduled them. Laser Hair Removal While Pregnancy or After a Lasik eye surgery. "can I go for laser hair removal after a lasik surgery?" " Can I get laser hair removal while pregnant?" "Can I get laser hair removal on nhs?" "Can I get laser hair removal after a eye surgery?" "Can redheads get laser hair removal?" Here are the answers of these questions. Yes you can get it because if you fear about much radiation or high dose of radiation which may cause cancer. then you have good news that laser is a non ionizing radiation which not cause any type of cancer. and no any research or study show this type of risk. Yes you can get it because as I tell above that laser beam is infra red beam which not cause radiation risk. No, because there are no studies that evaluate the safety of laser hair removal on foetus during pregnancy. So many doctors recommend avoiding laser hair removal during pregnancy. there are no much information about the effect of laser hair removal on the foetus. Yes there are special RF machines for lite hair that set frequency for lite hair. Next:-Radiation Risks or Laser Hair Removal Link with Cancer, Birth Defects or Infertility ?